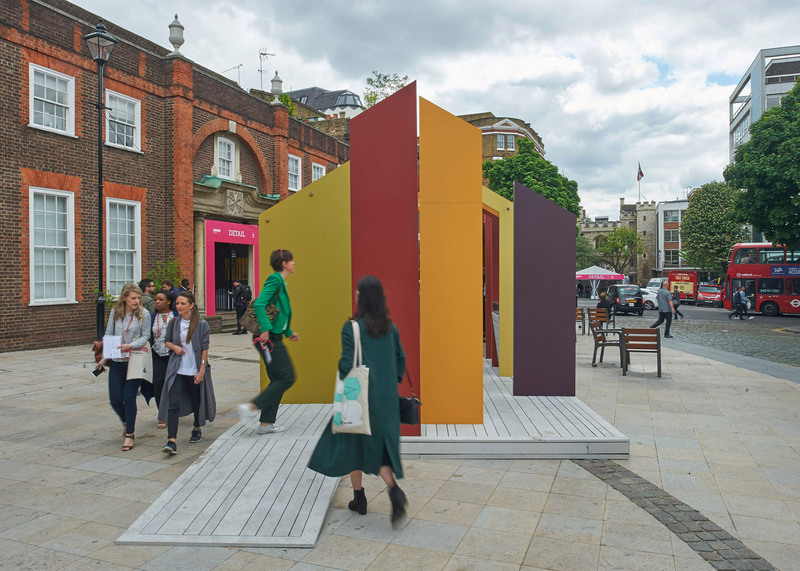 Clerkenwell Design Week 2016: Swedish firm White Arkitekter has installed a barn-like structure in the centre of London's Clerkenwell, which is dedicated to the area's creative past and present (+ slideshow). 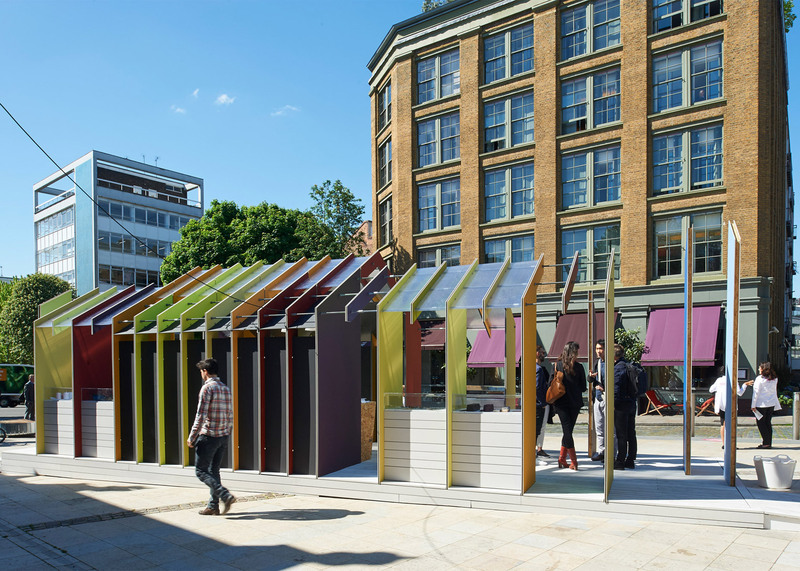 The company teamed up with engineers Price & Myers to create a structure that showcased Scandinavian heritage while providing an insight into Clerkenwell's history. 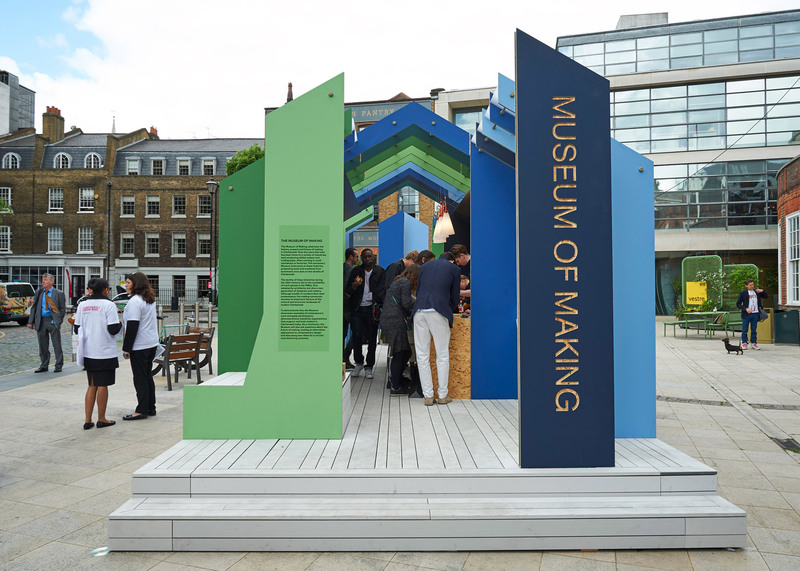 Based on the shape of a "deconstructed Swedish barn", the Museum of Making pavilion is made of a series of multicoloured flat-pack panels produced by facade manufacturer Equitone. 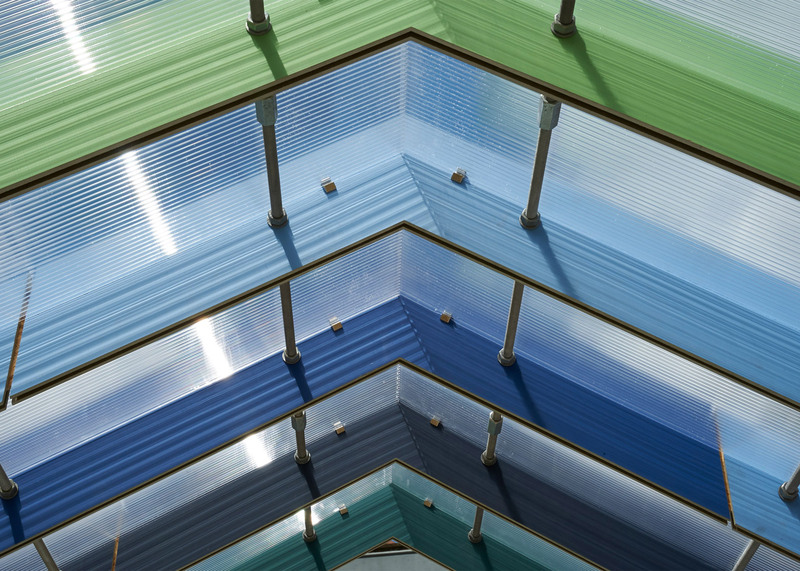 The gable-shaped sections are made from fibre cement, and separated by sheets of translucent plastic that form a roof. 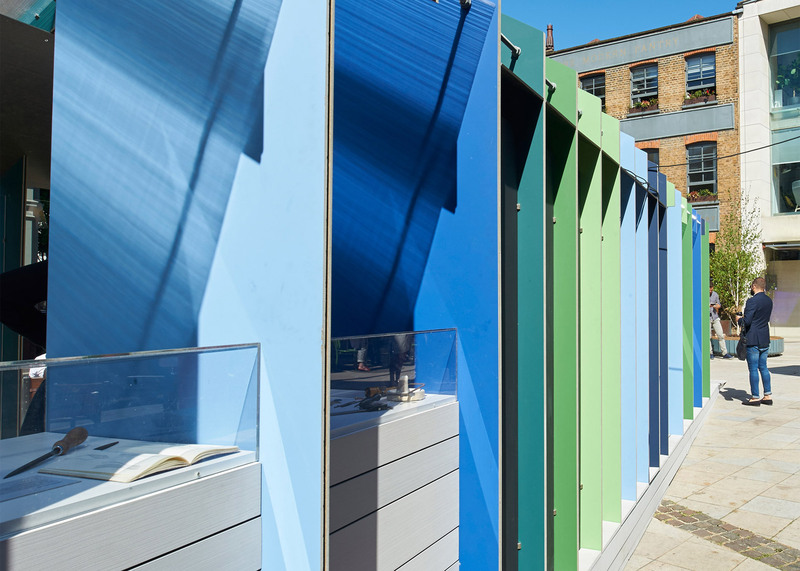 From one side, bright blue and green panels are used to represent Clerkenwell's contemporary design scene. Viewed from the opposite end, warm and brick-toned colours reference its rich history of craft and industry. 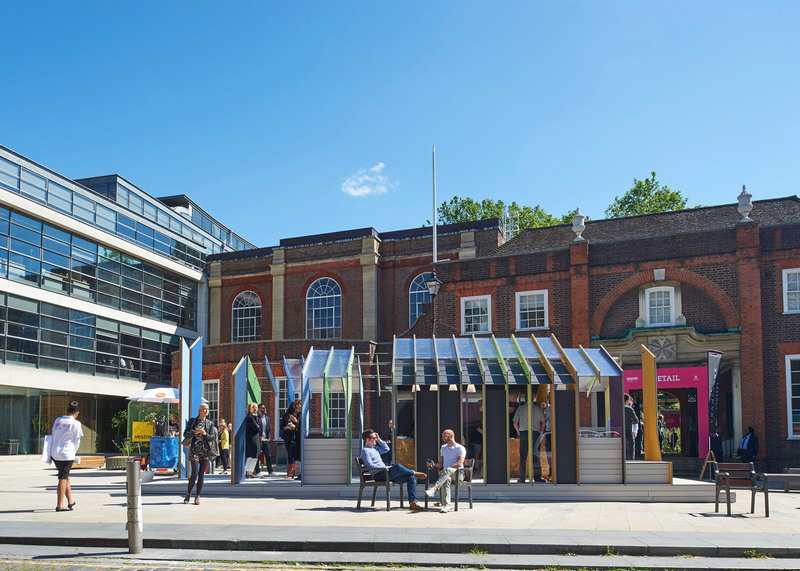 Throughout the three-day Clerkenwell Design Week, which kicks off today, the pavilion will function as a social space dedicated to the art of making. 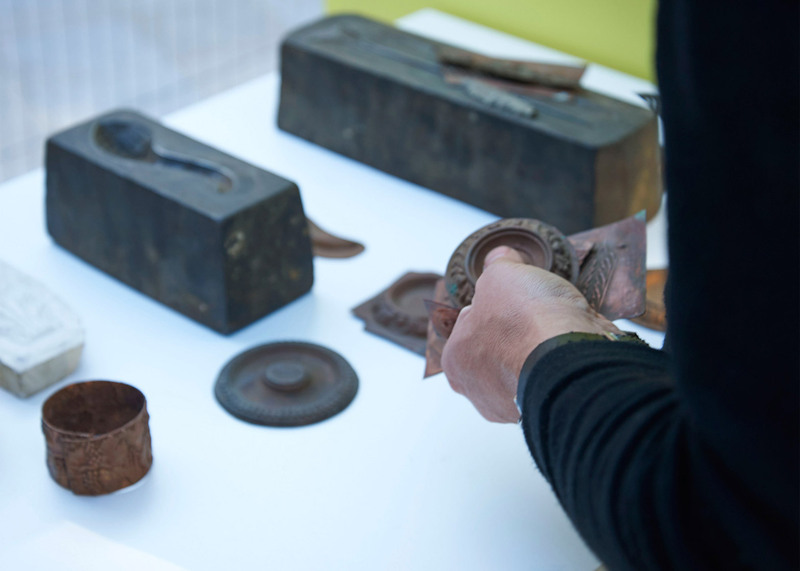 Alongside an exhibition of work from contemporary makers are objects and artefacts loaned from the nearby Museum of London, including tools and machinery rescued from old factories in Clerkenwell. 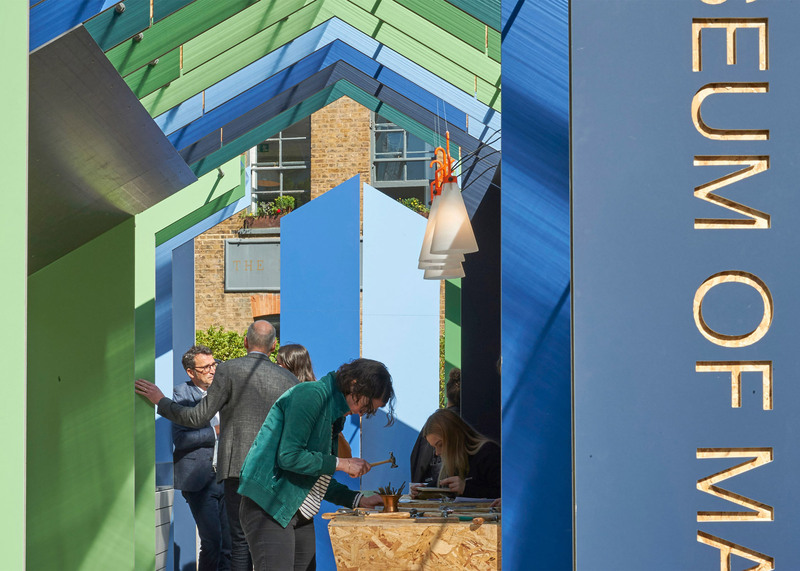 "Individual items – such as tools and machinery, moulds and templates, materials and ephemera – with their own catalogued history will be displayed alongside old maps and photographs to evoke a Clerkenwell of the past," said White Arkitekter. 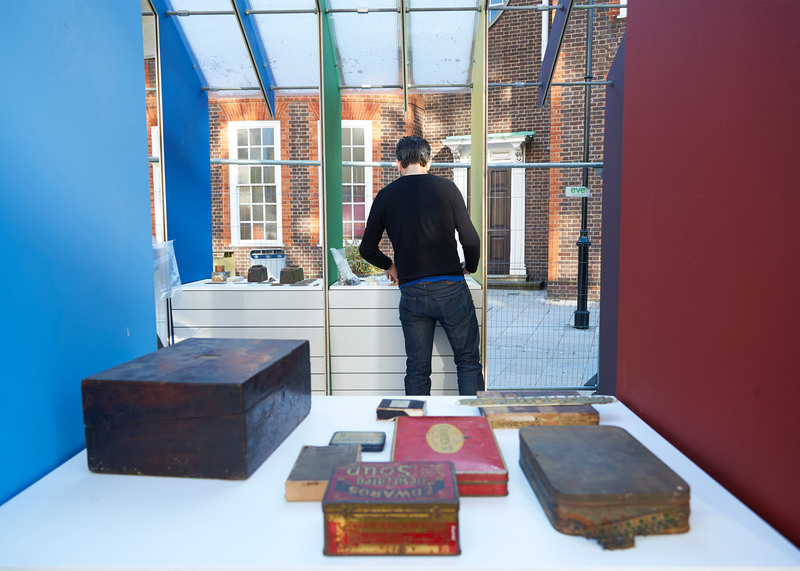 "Complementing the archival displays, the tools and design processes of contemporary makers working in and around Clerkenwell today, will also be displayed," the studio continued. 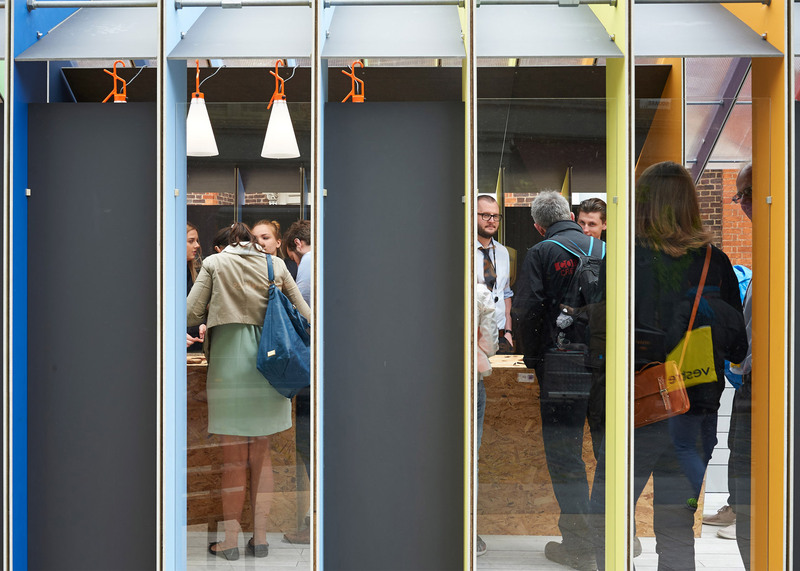 "The two displays will visually mirror each other." 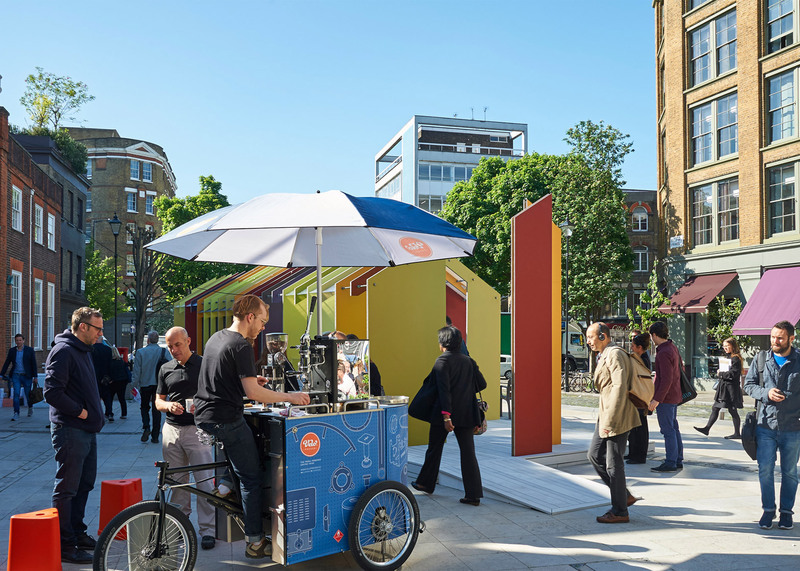 A programme of daily workshops, including architectural card making and pendant punching, will take place in the centre of the space – located in St John's Square. 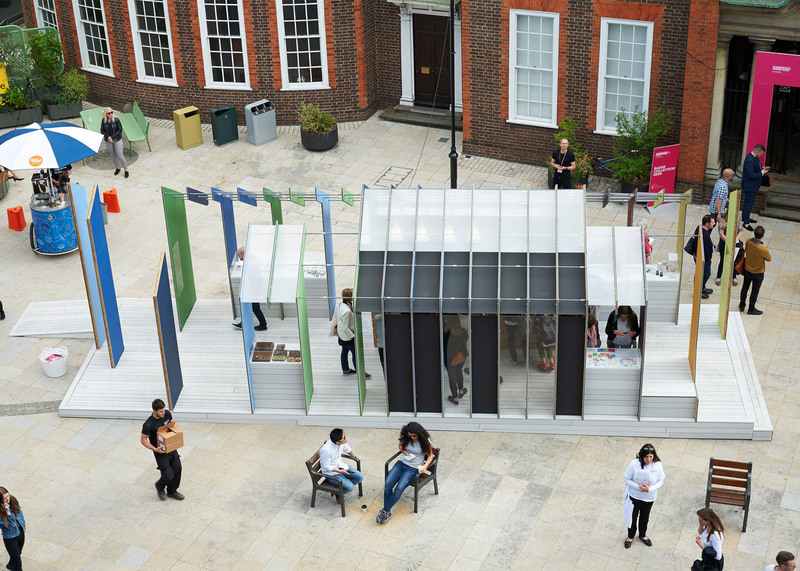 This year's Clerkenwell Design Week takes place from 24 to 26 May 2016. Dezeen's pick of the must-see installations includes a Tom Dixon display inside a church and a series of glass-tile sculptures designed to help visitors navigate the area. Photography is by Jo Underhill.